We, as a nation, are unprepared for waging a war of ideas. We have not yet been educated. We are not yet discerning, discriminating, or perceptive. We are naive to the extreme, with a distasteful arrogance perceived by most of the rest of the world. We are a nation divided by ideological issues and refuse to discuss matters on their merit, we are that inflexible. Our politicians, please don’t call them our leaders, answer to big money, to rich valued constituents, and to their ideological/political party. While we, as a nation, need to draw together after being flooded with reports of a wicked and overwhelming information war waged against our very society and the West, politicians are concerned about promoting their party values and not preventing this national security threat. Why not? Because “we” don’t want to make the bear angry. Putin is considered unpredictable, swift to anger, and with a nuclear arsenal at hand. Unless we begin holding our politicians accountable, until we demand a government effort to educate us, post the truth and actively counter disinformation, until we actively and multilaterally hold Putin and Russia accountable for these relentless denied attacks against the US and the West, we will continue to suffer under a relentless barrage of disinformation, propaganda, and fake news. Over three years, now, that Russia launched an information war against Ukraine and the West and what have we done? In the big picture, nothing. Nothing at all. November 25 2017, 8:00 a.m.
McLuhan’s prediction may have felt outlandish in his own era, but it seems very close to our present-day reality. Decades ago, the barriers to entry for broadcasting and publishing were so high that only established institutions could meaningfully engage in news dissemination. But over the past 10 to 15 years, ordinary individuals have been radically empowered with the ability to record, publish, and broadcast information to millions around the world, at minimal cost. The revolutionary impact of this new information environment — where any individual or network of individuals can create their own mini-CNN — is transforming our societies. The loss of gatekeeping authority held by legacy media institutions has opened up opportunities for long-suppressed groups to have their narratives heard: Palestinians, African-American activists, feminists, environmentalists, and dissident groups working in authoritarian societies can all find ways, not always without some trouble, to be heard. This new media landscape, though, also created a world susceptible to unprecedented levels of propaganda, conspiracy, and disinformation. The epistemological chaos created by the global explosion of “news,” some of it of questionable veracity, has already led to serious disruptions in both politics and daily life. But there is another area of life that might be most seriously impacted by the changing information landscape: armed conflict. 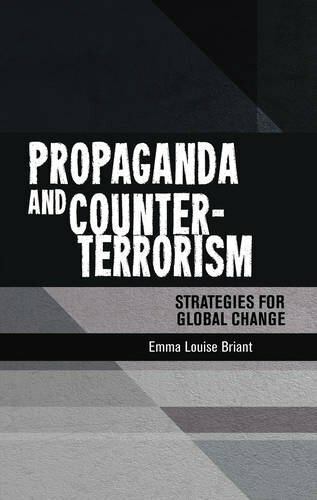 Propaganda and information warfare was once the purview of nation-states, militaries, and intelligence services. Today, even ordinary people have become important players in these campaigns. Propaganda and information warfare was once the purview of nation-states, militaries, and intelligence services. Today, even ordinary people have become important players in these campaigns. Battles over narratives and information have become an integral part of modern war and politics; the role played by bloggers, activists, and “citizen journalists” in shaping narratives has proven vital. The examples are rapidly piling up in the second decade of the 21st century. Citizen journalists and accidental activists helped change the course of history during uprisings in Egypt, Bahrain, Tunisia, Syria, and Libya — as well as during Israel’s 2014 war against Palestinians in the occupied Gaza Strip. Very quickly, people who were once considered to be victims of war and great-power politics have become empowered as political actors. During Israel’s 2014 bombardment of Gaza and the 2016 Russian aerial bombardment of the rebel-held Syrian city of Aleppo, young women and children came to international attention for their updates from war zones, helping wage battles to shape global public opinion. Distinct from traditional information operations waged by states, the narratives of ordinary people and activists benefit from a greater sense of personal authenticity and emotional connection. This currency has always been difficult for institutions to capture, but comes naturally to individuals and activists. Social media’s ability to bypass traditional media gatekeepers also blew apart the biggest barriers to marginalized voices being heard: political and corporate control over publishing. The emergence of online citizen journalism has also, however, increasingly blurred the distinction between participants and non-participants in conflict, as well as activists and journalists. For those lacking decent media education, discerning truth from falsehood is becoming an increasingly Sisyphean task. Picking through the pieces of the past few years, a few writers have begun to examine the ways that social media is shaping our understanding and experience of modern conflict and politics. “War in 140 Characters,” by the journalist and author David Patrikarakos, and “Digital World War,” by Haroon Ullah, an author and former U.S. State Department official, both represent early attempts to understand the gravity of our current information crisis. With the lines of armed conflicts’ central distinctions already being blurred — between peacetime and war, combatant and civilian — social media has the potential to draw the entire world into a gray zone where the lines between participants and non-participants in conflict is unclear. Whereas the last World War was a clearly defined clash of nation-states with uniformed armies, our new era of tech-driven information warfare holds the potential to become so amorphous and all-encompassing that it could to seep into every aspect of society, transforming the experience of both politics and war in the process. THE 2014 WAR between Israel and Palestinian factions in the Gaza Strip was perhaps the first war in which social media was successfully employed as a radical levelling force by the weaker party. In previous wars between Israel and the Palestinians, the Israeli government’s ability to manage access to the battlefield allowed it to help shape the narrative of the war, portraying it the way that it preferred — as a fight against terrorism. But with the proliferation of smartphones and social media accounts in Gaza over the past several years, this conflict wound up being viewed very differently by a variety of observers. As bombs rained down on Gaza neighborhoods, following a pattern that included the killing and maiming many ordinary people, Palestinians rushed to social media to share their own narrative of the war. Young men and women living in the Strip shared photos of apparent atrocities committed against civilians, alongside often emotional updates about their own experiences trying to survive the Israeli military onslaught. In previous conflicts most of these voices would never have been heard. Broadcast directly onto the global public spheres of Twitter and Facebook, however, accounts of Palestinian suffering and resistance became impossible for the world to ignore. Even when the power was out, citizen journalists managed to post pictures of dead bodies, destroyed neighborhoods and injured people to the outside world. Photography has always been a powerful force, but the Gaza conflict was one of the first wars to be photographed mainly by amateurs and social media platforms, allowing those images to spread far and wide at the click of a button, helping the people of Gaza win hearts and minds, and subsequently causing unprecedented outrage against Israel. In demonstrations around the world, such photos were enlarged and carried by demonstrators, demanding that their respective governments take action to halt Israel’s onslaught. As the public outcry over the war grew, even establishment media outlets in the U.S. were forced to take note of the Palestinian experience of the conflict. In response to the growing public relations disaster caused by images of dead Gazan civilians, Israeli Prime Minister Benjamin Netanyahu accused the Hamas government in the territory of using “telegenically dead Palestinians for their cause” — a statement that did little to quell rising international outrage over the civilian deaths. In military terms, there was no real parity between the two sides. By the time the conflict ended, more than 2,100 Palestinians had been killed, compared with just 66 Israelis. The physical infrastructure of the besieged territory suffered devastating damages, with Israeli attacks crippling water and power sources to Gaza residents. Despite their advantage in brute strength, the lopsided death toll, and destruction of only one party’s territory, it’s not clear that the Israelis won the conflict. In the battle over the narrative of the war — vitally important in a conflict whose power dynamics are strongly impacted by outside actors — the Palestinians managed to win significant traction for their cause. Instead of another case of the Israeli military attacking an amorphous group of Islamist terrorists, a counter-narrative of the conflict spread globally. In this version of events, Israel was not a democratic state waging a war of self-defense against terrorists, but a U.S.-backed military behemoth pummeling the people of an impoverished territory. The death toll seemingly proved to the world that disproportionate force was being inflicted on a weak and isolated territory. During the war, no one was more emblematic of the changing power dynamics than Farah Baker, a 16-year old Palestinian girl who came to international attention for her social media updates about life in Gaza. Baker was not tied to any political group and her perspective on the war was a personal one. Yet her social media presence catapulted her to global attention and told the Palestinian story to the world in a way that resonated emotionally. It also empowered Baker as a political actor, something that she had never expected and that could never have occurred in any previous conflict. During the war, no one was more emblematic of the changing power dynamics than Farah Baker, a 16-year old Palestinian girl who came to international attention for her social media updates about life in Gaza. Normally, a young teenage girl living under aerial bombardment would have been considered a bystander, at best, or a victim, at worst. But thanks to her Twitter feed, where she shared both her fears as well as her attempts to maintain normal life amid the war, Farah became an important part of the Palestinian effort to sway global opinion on the conflict. In Gaza, like in Syria and Ukraine, there have been instances of alleged faked suffering and atrocity spread for propaganda purposes. Here, too, social media has changed the way the conflict is perceived. Through social media’s ability to give accounts from multiple separate sources on the ground to verify information and share evidence, outside observers can better evaluate the credibility of reports from the ground. During the Gaza conflict, the Israeli Defense Forces attempted to rebut the onslaught of Palestinian citizen journalism with their own information war, disseminating infographics and videos intended to show the Israeli side of the story. Ultimately, the Israelis were at a disadvantage. The personal authenticity of Gaza’s tech-savvy young people resonated more naturally with observing audiences than the official statements and flashy messaging released by Israeli military officials, messages that were indelibly stamped with the alienating face of a bureaucracy. The impact of this disparity was notable. In a column in Foreign Policy following the war, entitled “On Israel’s Defeat in Gaza,” international relations scholar David Rothkopf reflected on the global impact of the scenes of mayhem that had ensued in Gaza, including images of young children being killed on a beach by Israeli military forces. “There is no Iron Dome” — a sophisticated and expensive Israeli missile defense system — “that can undo the images of suffering and destruction burned into our memories or justify away the damage to Israel’s legitimacy that comes from such wanton slaughter,” Rothkopf wrote. While Barack Obama’s presidential administration stood by Israel during the conflict, calling for restraint from both sides, two years later, as he prepared to leave office, the U.S. took the significant step of distancing itself from Israel at the United Nations by allowing an anti-settlement resolution to pass — a rare instance of the U.S. acceding to public censure of Israeli actions. While far from a sea-change in America’s stance on the conflict, the move reflected growing dissatisfaction with Israeli actions in the United States, which, though not shared by the Trump administration, continue to be echoed by high-ranking former officials. In her own small way, with her tweets and updates during the war, Farah Baker had played a role in shifting the narrative and forcing the world to grapple with the Palestinian narrative of the conflict. 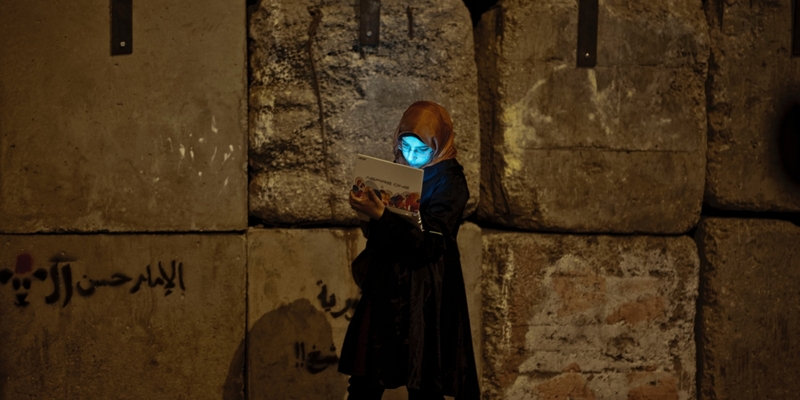 DURING THE INITIAL UPSURGE of enthusiasm about the 2011 Arab Spring revolutions, observers noted how effectively social media had been used as an organizing tool by young activists. While it would be overstating the case to attribute the revolutions themselves to social media (as some of the more breathless analysis did at the time), the impact that online social networks, cellphones, and new satellite television stations had on mobilizing and informing people in these societies was undeniable. The idea of young people using social media to topple dictatorships played into the narrative of “tech-utopianism,” still in vogue at the time, stimulating the idea that future political changes might be organized from below through the liberating power of the internet. The grim years that followed the initial uprisings have mostly dispelled this narrative. While liberal activists were adept at organizing online, so were political Islamists and jihadist groups. These groups were better funded, better organized, and already had experience operating clandestinely –using the latest technologies for propaganda, recruitment, and networking. Over time, it would be Islamist groups like the Muslim Brotherhood, as well as jihadists, that moved into the vanguard of the revolutions, pushing aside the liberal activists who had initially captured the world’s imagination. “Digital World War” is an analysis of how opposition movements, and Islamists in particular, have used social media as a tool of waging war against established governments. Haroon Ullah is a former State Department official and expert on Pakistan’s Jamaat-e-Islaami movement. Unlike Patrikarikos’ book, “Digital World War” is a staid academic analysis of how social media and other new technologies are altering the dynamics between central governments and opposition movements, both Islamist and liberal. But Ullah’s work also addresses the crux of how social media is upending the traditional power dynamics governing war and politics. Perhaps the most destabilizing aspect of new technologies is the way that they have potentially supercharged the speed of political change. Youth-led revolutions in Egypt and Tunisia began and ended within a matter of weeks, toppling governments that had been in place for decades. Although both countries had suffered from long-standing structural problems, the sparks for both uprisings were lit over individual outrages – corruption and police brutality – that were spread and rapidly popularized over social media. Though many bystanders later joined the protests for other reasons, the speed and scale with which people initially organized would have been impossible in an era before cellphones and the internet. Perhaps the most destabilizing aspect of new technologies is the way that they have potentially supercharged the speed of political change. The very speed of these movements, however, made it hard to build a sustainable order out of the collapse of the old regimes. While it was true that online mobilization played a role in toppling both Egyptian strongman Hosni Mubarak and Tunisian dictator Zine El Abidine Ben Ali, it also allowed little time for real leaders to emerge or for political platforms to be agreed upon. While the people who went into the streets were united in their indignation over injustice and their opposition to the old order, they had very different ideas about the future of their countries. When the regimes collapsed, the only parties established enough to take advantage were those aligned with the long-suppressed Muslim Brotherhood. Social media is not the first information technology that has had helped galvanize revolutionary change. Radio, telegraph, and even the printing press all helped precipitate major socio-political transformations in the past, the latter famously helping enable the Christian Reformation. More recently, the groundwork for the 1979 Iranian Revolution was laid with the help of a relatively new technology: Popular speeches by the revolution’s leader, Ayatollah Ruhollah Khomeini, were recorded and copied onto cassette tapes, which were then rapidly replicated and distributed. Unlike social media movements that can close the cycle between outrage and protest to a matter of days, however, it took Khomeini years of painstaking media work to help build mass support for an opposition movement in Iran. By the time the that Iranians finally went into the streets against the Shah – motivated by many different ideological currents – Khomeini was a well-known and popular spiritual leader within the opposition. When the monarchy fell, he was well placed to marginalize his ideological rivals and consolidate clerical power over the country. The difference between Iran’s uprising and the leaderless revolutions of today is vast and points to one of the major pitfalls of internet activism. Online organizing and propaganda can be legitimately useful for destabilizing regimes, especially rigidly authoritarian ones that need to strictly control the flow of information. But because of the speed with which it can precipitate change, its less useful for building up the networks and organizations needed to fill the gap created when old governments actually fall. IN A 2007 PAPER titled “Of Networks and Nations,” John Arquilla, an expert of new patterns of warfare at the Naval Postgraduate School, argued that loosely-knit sets of global and regional networks, enabled by the internet, had begun to challenge the authority of nation-states in the same way that nation-states had challenged the authority of empires a century earlier. In recent years, transnational militant groups, civil society activists, and hackers have all been able to inflict defeats on lumbering state adversaries, in part by leveraging the speed of connectivity and communication afforded by the internet. It is within this ambiguous environment that information warfare waged online by activist groups and individuals is playing a critical, at times even definitive role. As the dominance over information flows held by nation-states evaporates, their ability to control the trajectory of conflicts by managing international opinion and maintaining domestic authority is eroding as well. The threat of this change, as well as the political impact of viral misinformation, has led to calls from some corners for greater regulation and involvement by tech companies in putting curbs on online speech. Although improved media education for the general public is likely necessary, any nostalgia for an earlier era where information was controlled by a few hegemonic media institutions is wildly misplaced. For better or worse, thanks to social media and smartphones, a version of the “guerilla world war” predicted by Marshall McLuhan – a war over information drawing in states, militaries, activists, and ordinary people in equal measure – has come into existence. The consequences are likely to transform politics, conflict, and daily life for generations to come. McLuhan himself suggested that surviving in this new world would be possible only through a conscious embrace of change, rather than a retreat into reactionary policies.